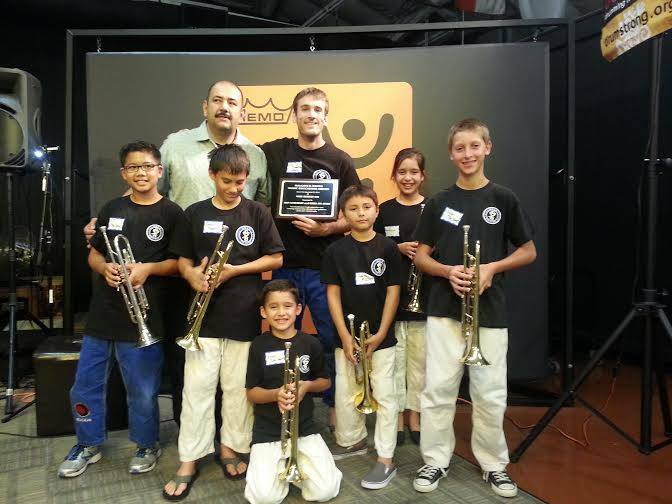 Our after school program received a scholarship from the LA Jazz Society this past Sunday. We took a few of the kids and played “Jingle Bells” at Vibe Summit, a festival full of LA’s finest jazz vibraphonists. The scholarship will allow us to purchase more trumpets for the kids!